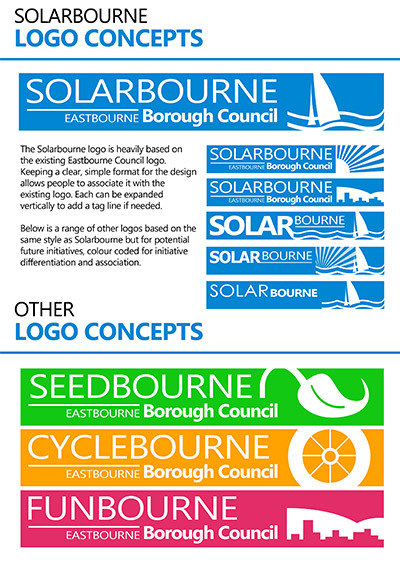 I recieved an offer for some freelance graphic design work from Eastbourne council to produce some logos for their new energy initiatives. 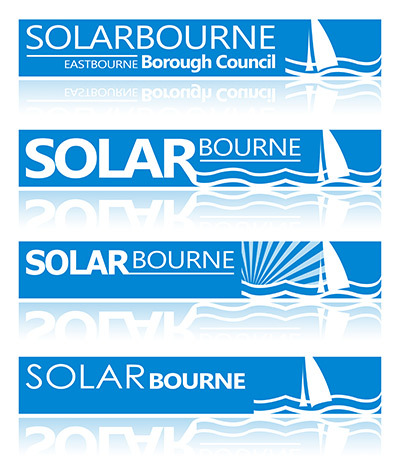 The comission was to produce a series of logos based around the current Eastbourne Council logo for their new Solar Energy push as well as some other green movements. I deliberately went for very bright block colours with simple illustrations to keep the logo clear and to the point.